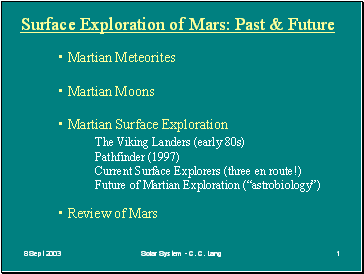 How did they get to Earth? 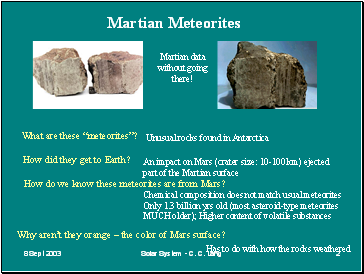 How do we know these meteorites are from Mars? 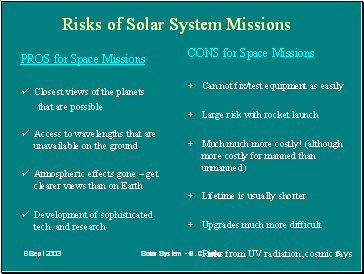 Why aren’t they orange – the color of Mars surface? 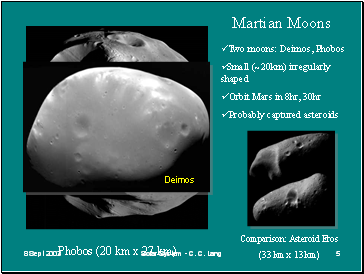 Different than normal asteroid (meteorite) comp. What DON’T they tell us? 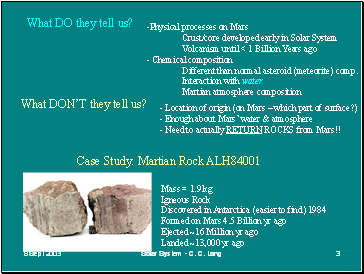 - Need to actually RETURN ROCKS from Mars!! 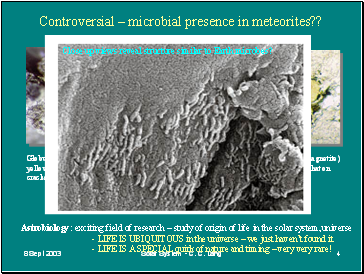 Controversial – microbial presence in meteorites?? - LIFE IS A SPECIAL quirk of nature and timing – very very rare!